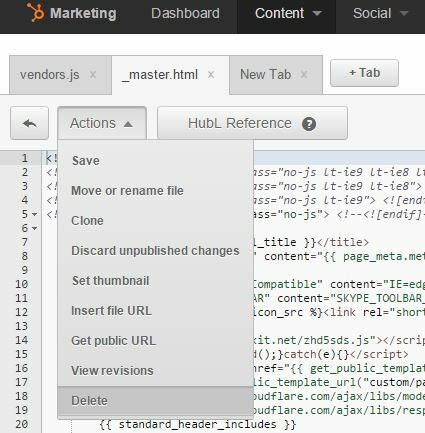 Hubspot templates can be created either through the web ui or locally and then synched using their ‘cos uploader‘ tool. This seems like a great idea providing you watch out for a few little annoyances. 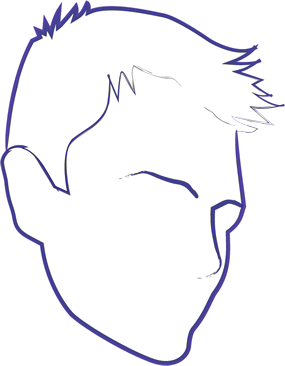 By working locally, you can version your source files using whatever you want. Actual content is versioned in the hubspot back-office. would allow designers to create a flat site where basic functionality could be tested locally. would separate out dev work from production-ready templates, meaning that it would be possible to work on and show new features to clients within hubspot without affecting existing live templates and modules. We are not completely there yet, and I know there are facets of our solution that could be improved, but we’re getting there. prod – Same as dev except files and templates in this folder get uploaded to the ‘prod’ area. Each environment needs to have a ‘files’ folder and a ‘templates’ folder. Anything in files gets uploaded to the file manager in hubspot using the same folder structure as has been set up locally. So, in the dev environment ‘files’ folder, there is another ‘dev’ folder, meaning that all assets inside here will get uploaded to a ‘dev’ folder in hubspot. In the same way, the prod environment has a ‘prod’ folder inside the ‘files’ folder. Initially, there is no need for an id. Once the uploader uploads the file, it will add the id into the file. For css and js, according to hubspot, you don’t need to add the ‘category’ field, but it doesn’t hurt either. CSS and Javscript should not be added to the file manager of hubspot. So, they need to go in the ‘templates’ folder. In the example above, we split out the ‘templates’ folder to have an ‘assets’ folder that contains the compiled css and js. In dev, the files are split up into templates, hubspot metadata is added and hubl markup to add CMS (sorry, COS) integration. The tricky thing that we can’t see a way around at the moment is the point at which flat is copied to dev. Since files are split up, copying between flat and dev can only really happen once. It kind of cuts the link between flat and dev so both must be manually kept in synch. There are a number of ways to set up templates in hubspot. You can create includes that can be added to certain pages or you can create an inheritance type structure whereby you create a base template that other child templates inherit. The base template defines blocks that are re-defined inside child templates. This is kind of similar to how razor works in .net or twig in php. So, that’s what we did. We’ve got a master template that defines a few blocks that are filled in by child templates. This is a snippet from the index page. It extends the master template. The weird thing here is that its referencing the master template which, in hubspot exists in the ‘custom > system > dev’ folder. However, the public reference to the master template is ‘custom > pages > dev,’ even though it doesn’t exist in the ‘pages’ folder. Since these were added to the ‘coded files’ area of design manager in hubspot, you can get the public url for these in the same way as getting the public url of the master template. Then its a case of plonking that into your template. That’s about it for the actual set up. The actual engine that drives the various build processes is grunt, which is discussed next. Just wondering if you are still using this folder structure and workflow or if you’ve made improvements to it. Let me know, thanks! hi, thanks for the comment. After having worked on a few hubspot projects now, it seems they designed it to be used from the hubspot browser-based design manager. This does use things like versioning but it does mean its hard to use sass/less or other grid systems. But, hubspot at the moment forces you to use bootstrap 2 if you want to use the drag-and-drop template system. Pros and cons.